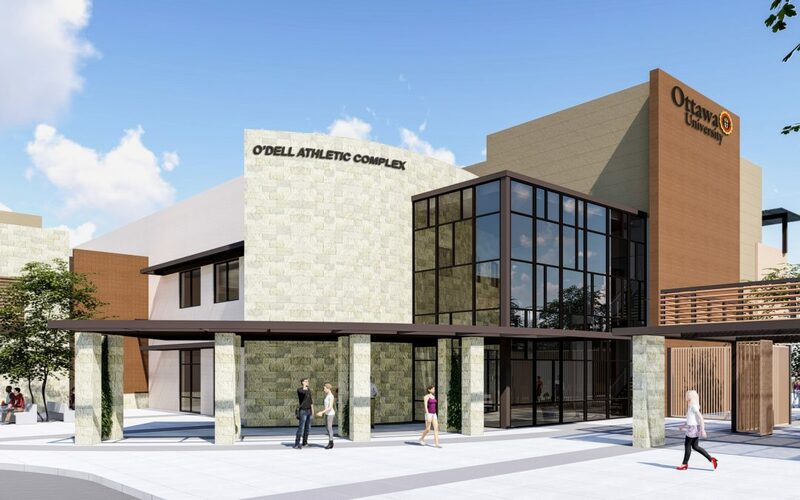 The entry to the new athletic facility at Ottawa University in Surprise. 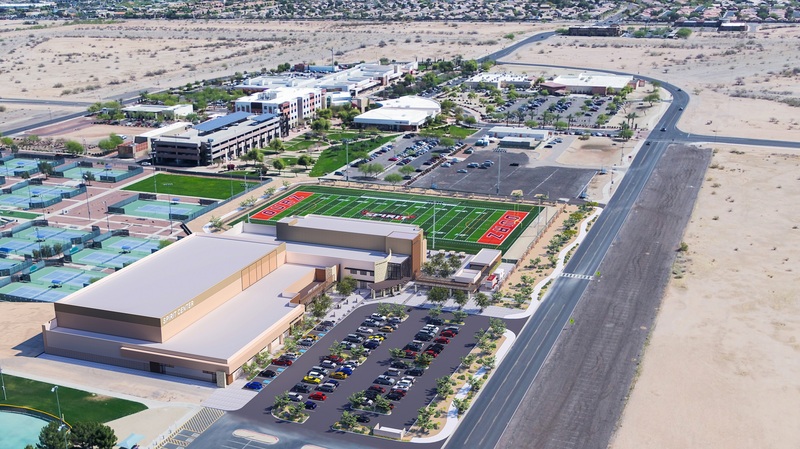 PHOENIX, ARIZ. (June 28, 2018) – A major athletic complex at Ottawa University (OUAZ) is racing towards a 2019 finish date thanks to a team effort between Phoenix-based Cawley Architects, the school, and the City of Surprise. 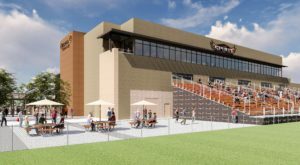 A rendering of the press box facility at Ottawa University in Surprise. “We have been very pleased with how the various parties have worked jointly to bring forth the very best cost and design solutions,” said OUAZ Chancellor Kevin C. Eichner. An aerial rendering of the new athletic facilities at Ottawa University in Surprise.